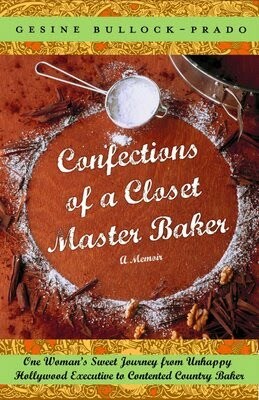 I actually read this book 'Confections of a Closet Master Baker' back in May, but I never did post it because the title could be taken as being a little bit 'naughty'. To my great delight, this book has been re-named 'My Life from Scratch' and I am much more comfortable posting about it knowing that the chances of offending anyone has been greatly decreased! This book is written by Gesine Bullock-Prado, the sister of Sandra Bullock, and there is nothing even remotely naughty about it, other than the title. In a nutshell, it is basically about Gesine leaving the Hollywood lifestyle behind (production assistant) and following her love and her dream of becoming a master baker. I enjoyed her voice as she shared her obvious love of baking and her creativity and I applaud her for following her dream. She actually has a blog that I have enjoyed peeking into from time to time. 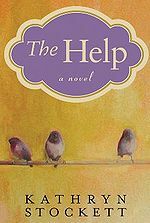 In June I read 'The Help', by Kathryn Stockett. It is a story set during the turbulent 1960's in the deep South, which centres mainly around the black female servants, and the white women that they served. It is a story of those that are fearful of change and those that are striving towards it. It astounds me that at a time when blacks were segregated, and the white's were fearful of their 'black diseases', that it was the blacks that were cleaning the white peoples homes, raising their children, cooking their meals, doing their laundry and serving at their tables. The characters in this book were full and deep and as it was written in the voices of each character, it gave a well rounded vision of both sides, black and white. 'Any Known Blood' was my first pick in July. The name of the author is what drew me to it as it sat on the library shelf; Lawrence Hill is the same author that wrote The Book of Negroes and so I was sure that this was going to be a worthwhile read... it was not. I decided to go back to Maeve Binchy, the Irish author. I enjoyed so much 'A Circle of Friends' and her other books. So I've read 'Whitethorn Woods' and 'Heart and Soul' this month and I could hardly believe how disappointed I was! Heart and Soul was by far the worst, jumping all over the place and bringing in characters from previous books. I found it disjointed and kind of predictable. It is such a pleasure when I come upon a well written and lovely book, I even find that returning to a much loved story and reading it again to be just as enjoyable as the first time. One book that I am thinking of reading is 'Les Miserables' as the underlying theme of redemption I find utterly compelling. Last week we had quite a bout of rain, and as I had a few days to spend at home, I decided to snuggle up with my newly crocheted afghan and a warm 'cuppa'. I gathered them up and headed over to the big, soft chair outside on the deck overlooking the garden, and while listening to the rain come down, and the birds chirping, re-read for the 'too many times to count' book, "The Secret Garden". I first read this book, written by Frances Hodgson Burnett and set in the Yorkshire moors of England, as a young girl of nine, and have continued to read it, numerous times, throughout every decade of my life. Now, as a grandmother I am still reading it and enjoying it, just as much, if not more, that all the other times before. 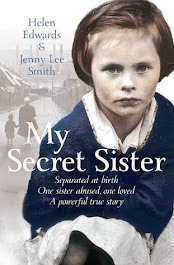 There are many reasons as to why this story has resonated with me all these years... and if you know me at all, and have read this book, you will probably, very quickly, know why! 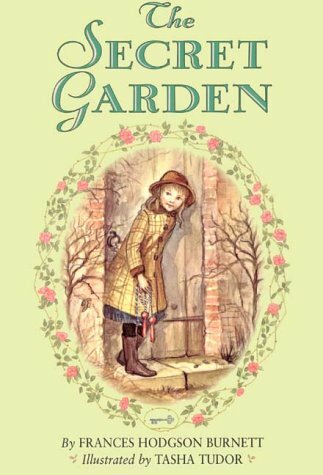 As a young girl I did not know of the deeper Truth that lay hidden within it's pages, but my heart found such joy in The Secret Garden of the story and in the transformation that slowly took place in it, and in the characters of the story. Perhaps now, what stands out most is the message of Beautiful Life in the midst of death, Glorious Light in the midst of darkness, Amazing Hope in the face of despair and how all of creation points to Life, points to Light. And how Life and Light bring, Hope. As I finished reading the Secret Garden, yet again, I looked up and out over my own garden - I watched the droplets of rain fall and the leaves quiver under their gentle tap-tap-tapping. I glanced over at the plum tree and saw the Mama Robin sitting on her nest keeping her babies warm and dry. I listened to the sounds of nature all around me, an orchestra composed of the gently drumming of the rain, the trills and chirps and throaty warblings of the birds, the impatient tut-tutting of squirrels and the rustling of leaves when the wind picked up - an orchestra that does not wait until I show up to begin playing, but which plays continuously, whether anyone is listening or not. An orchestra that gently invites me, upon my arrival, to stop for a while and enjoy being a part of it all. It was my joy to sit amidst this bounty and praise God, the Creator of all creation, the One from Whom all blessings flow - and to thank Him, for the continual work that He does, in The Secret Garden... of my heart.